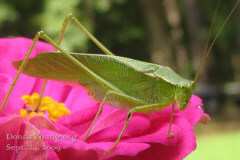 The insect pictured on this page is what seems to be a fork-tailed bush katydid [Scudderia furcata]. 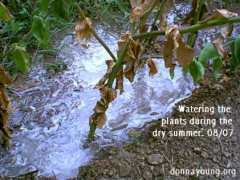 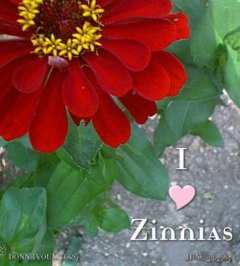 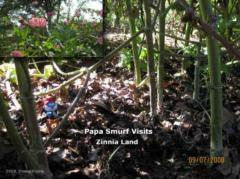 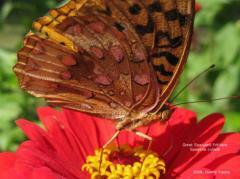 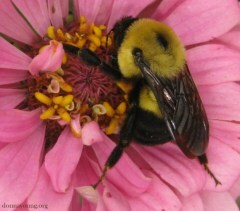 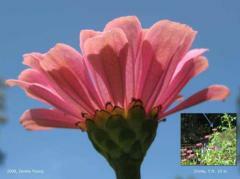 It was sitting on a zinnia in my garden on September 24th, 2009. 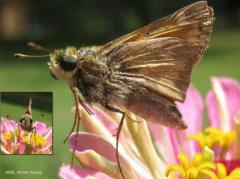 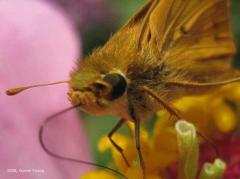 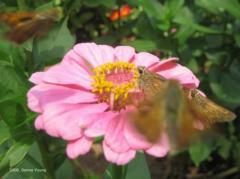 This little gold colored and spotted skipper is enjoying the zinnias. 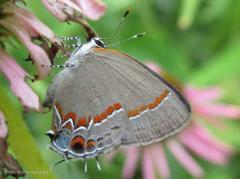 This butterfly might be a Red crescent Scrub-hairstreak – Strymon rufofusca. 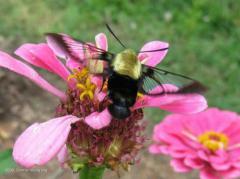 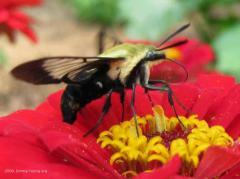 A back view of a snowberry clearwing on a pink zinnia.